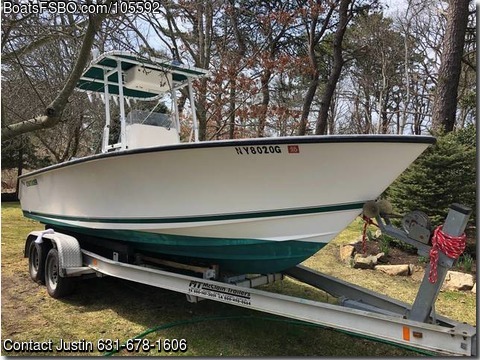 Contact the owner at 631-678-one six zero six...Used Contender 21 Open for sale with Double Axel Aluminum Trailer. Absolute machine! 150 Mercury Optimax with 586 hours. Garmin 5” depth sounder/gps/chart plotter. Not pictured: T-top bag and enclosure Fiberglass outriggers Recent Maintenance: Water pump 2018 Thermostats 2018 Oil tank 2018 Thru Hulls and plumbing 2018 Bulge pump and float switch 2018 Hydraulic steering 2018 New Ballistic Prop Top speed - 35 knots Cruising speed - 28 knots Currently in water and ready for your inspection/test run.